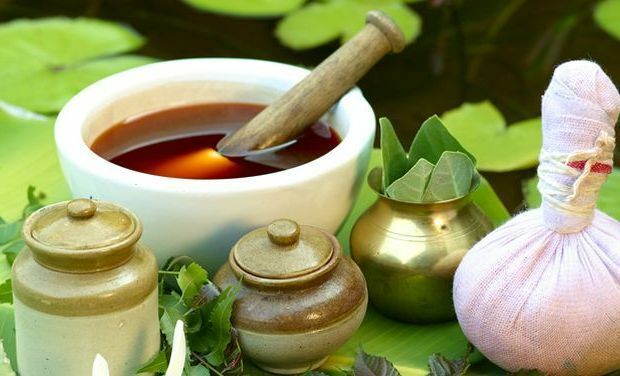 Ayurveda believes in herbal remedies and healthy lifestyle changes and takes a holistic approach towards treatment. Psoriasis is an inflammatory condition of the skin that causes thickening and scaling of skin. Currently this disease has no cure and the treatments are used to manage the symptoms. Ayurveda uses a treatment called Panchakarma therapy to treat psoriasis. This therapy incorporates dietary changes, uses plant based remedies and aims at detoxifying and purifying the system. All these methods aid in overcoming the symptoms like inflammation, itching, redness and swelling. Another trigger for psoriasis is stress which meditation and exercise can help you overcome. Herbal remedies like using the Ashwagandha herb has shown to have anti-stress properties. These Ayurvedic treatments help with physical and mental stress and are restorative treatment options.